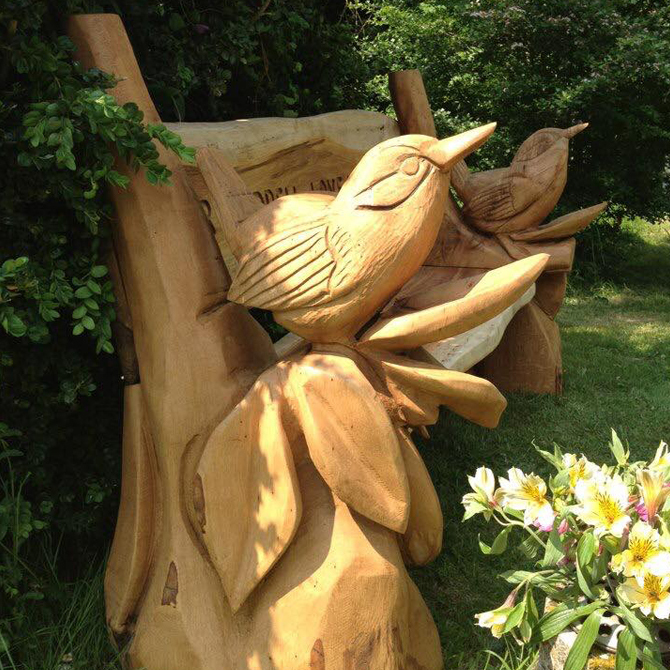 Private commission carved in London. 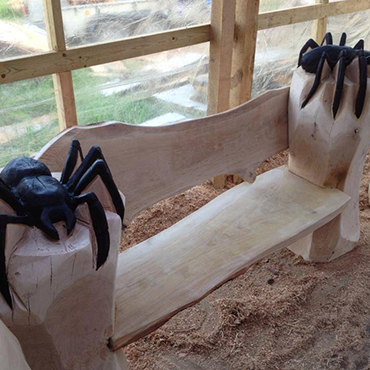 This was made with carpenter Kevin Lloyd. 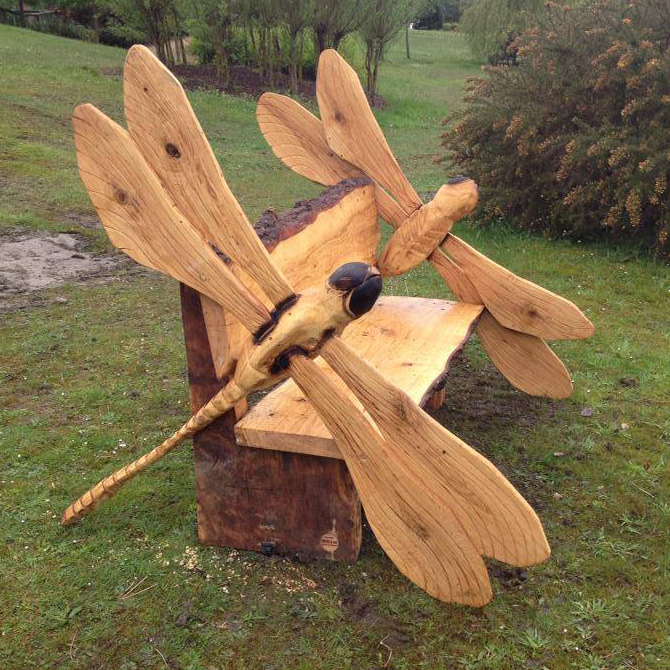 The bench is made from oak with carved details and with carved fish swimming through the legs. 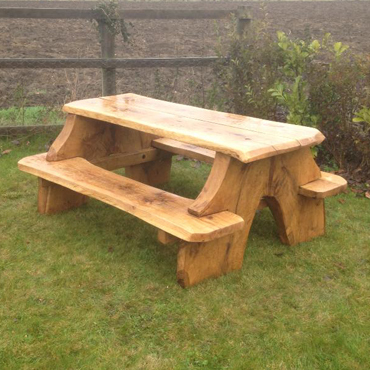 This oak picnic table is one of two that were made. 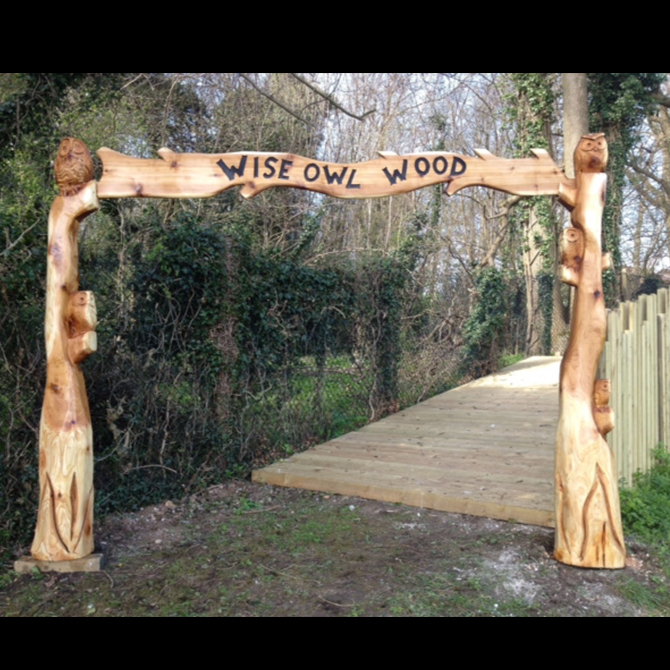 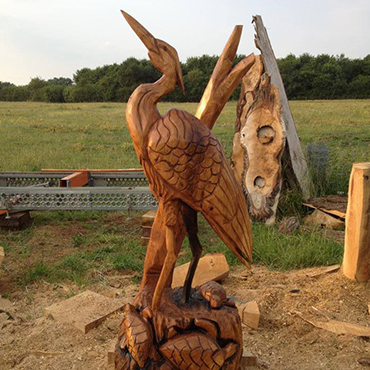 They have carved wildlife in 3d and in relief and are very robust being constructed using 3 inch oak planks. 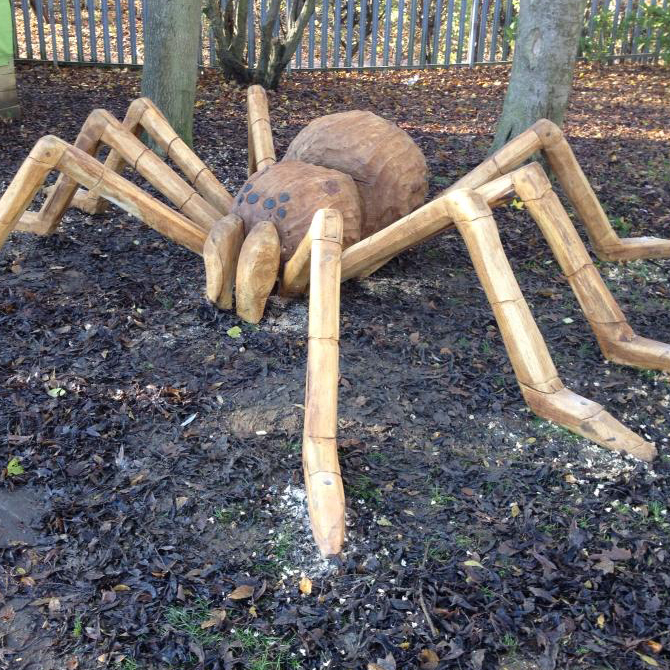 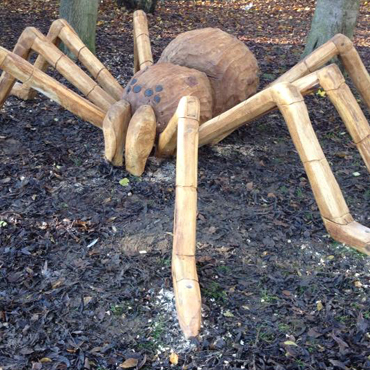 This spider now is part of the schools play equipment, it measured 10ft in diameter and was made from oak. This dragon is part of a playground and is in three pieces with carved saddles for the children to sit on. 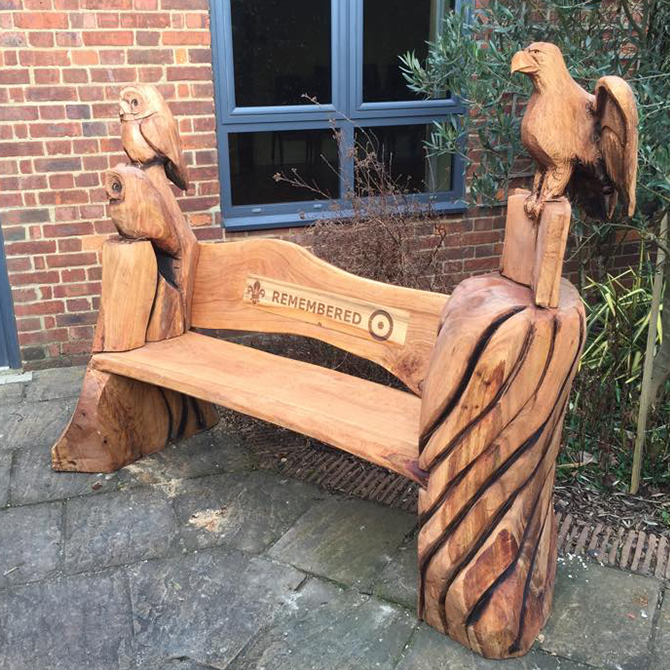 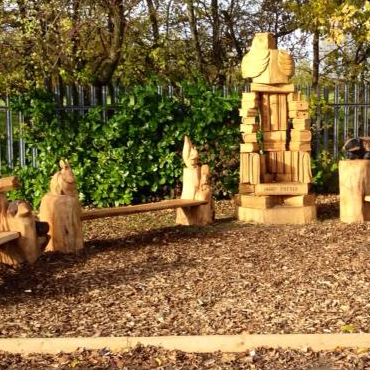 The main chair was carved at the English open Chainsaw carving Competition and then found a home at this school. 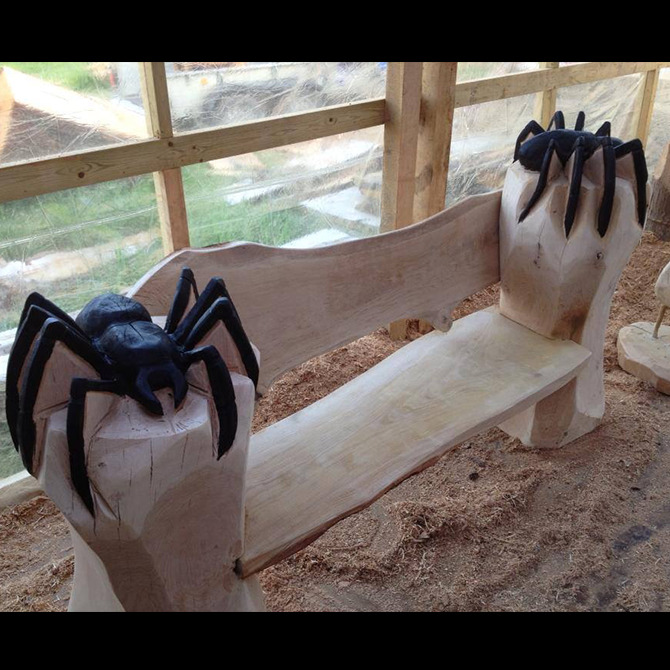 I was then asked to create 4 other oak benches with wildlife to create this unique story area. 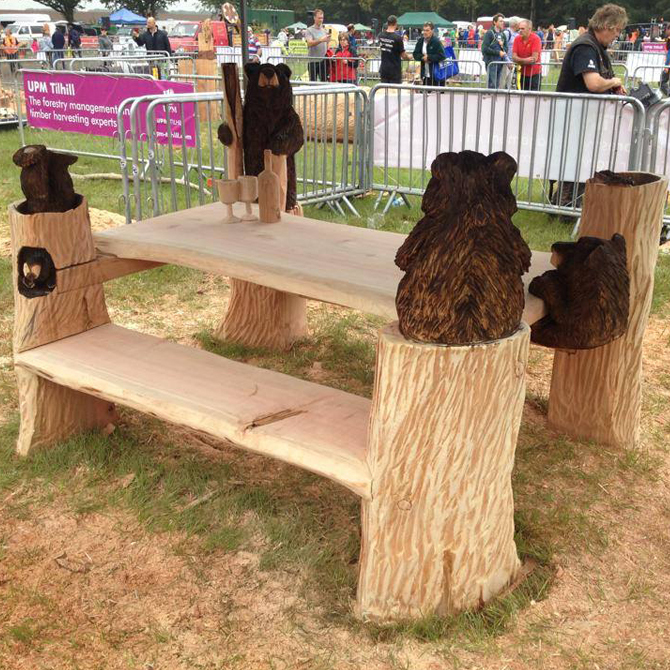 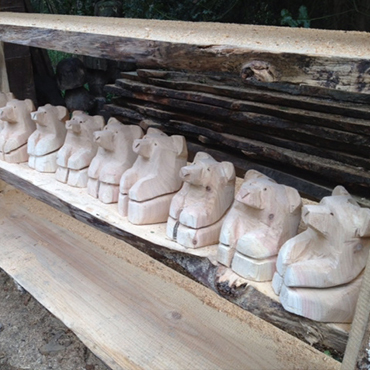 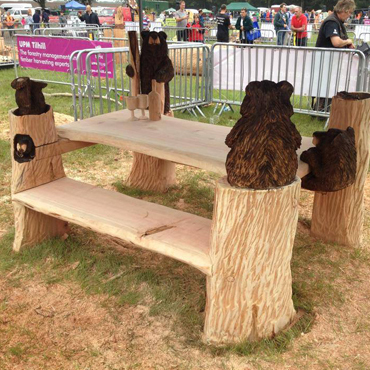 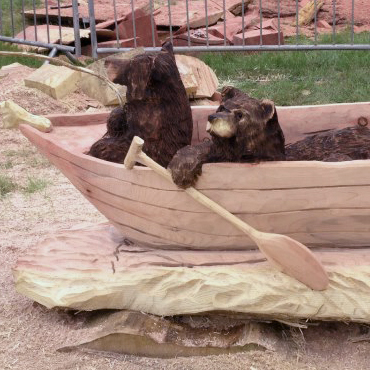 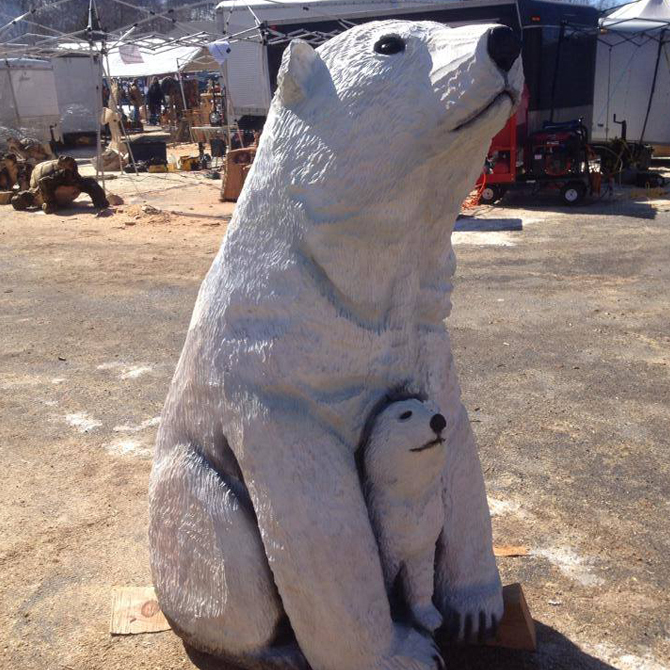 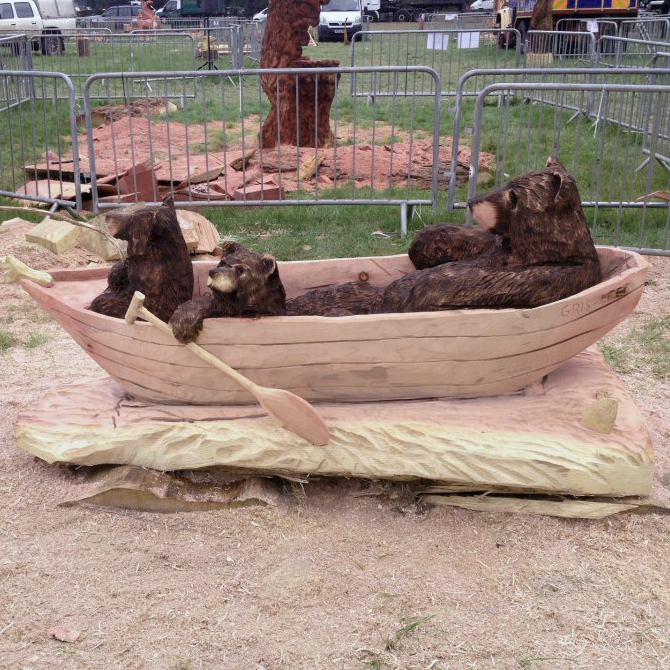 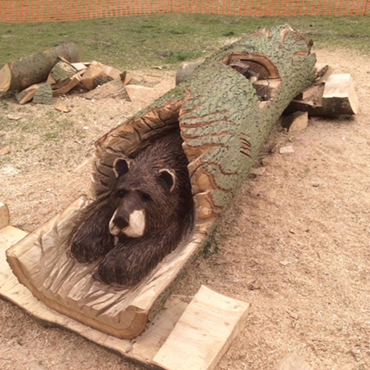 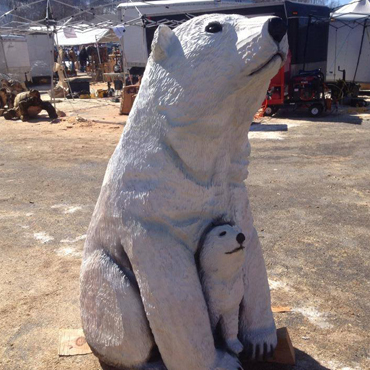 The three bears floating down the river was carved at the APF show in 2012 from redwood. 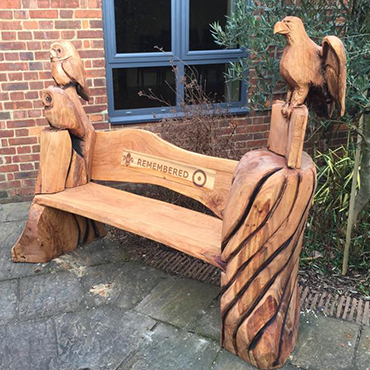 This 8ft oak book chair features multiple books with some having the authors engraved on the spines, a owl reading at the top and a bookworm munching through the pages on the rhs. 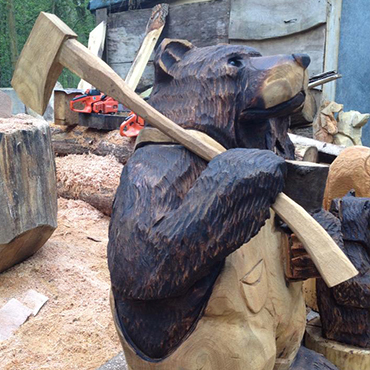 This bear holding a log with his axe is approximately 4ft tall and carved from cedar. 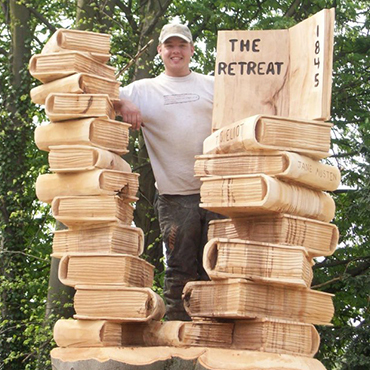 This big pile of books was carved from a beach felled for safety reasons. 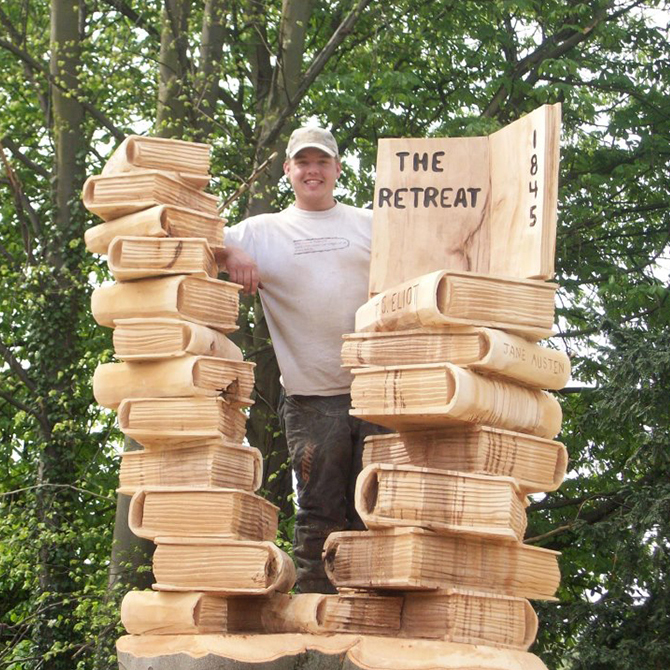 It features famous authors on the spines of the books. 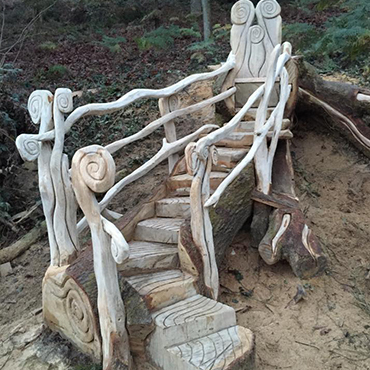 This staircase to throne was carved at Winkworth arboretum from a fallen specimen oak. 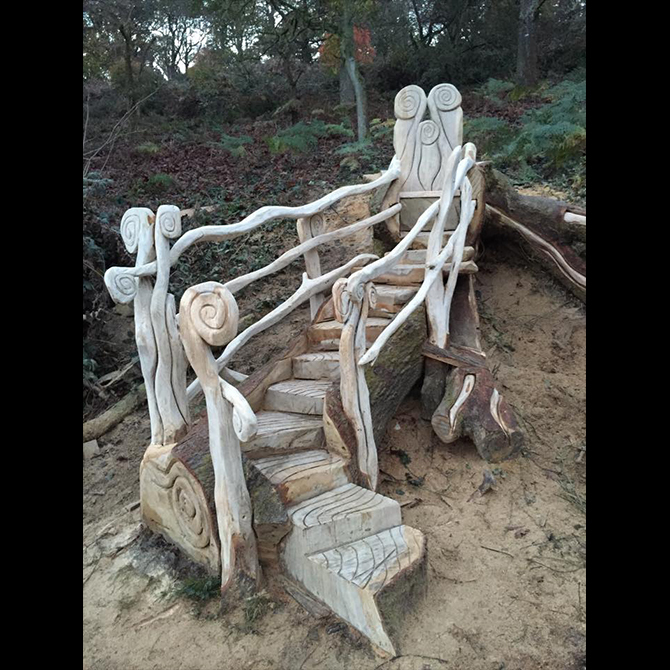 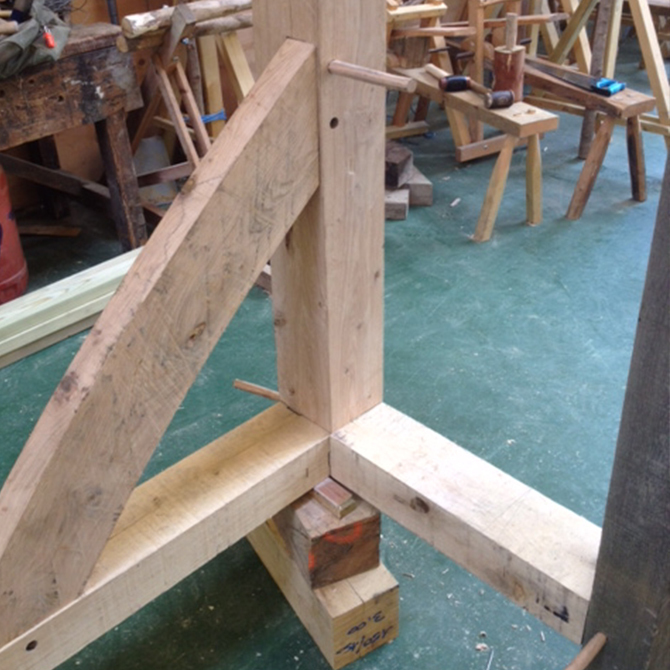 I used other sweet chestnut and oak to create the handrail. 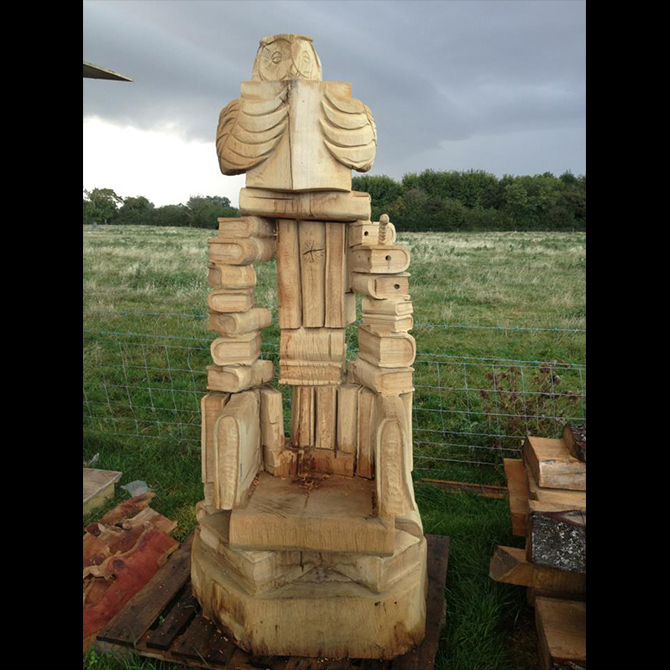 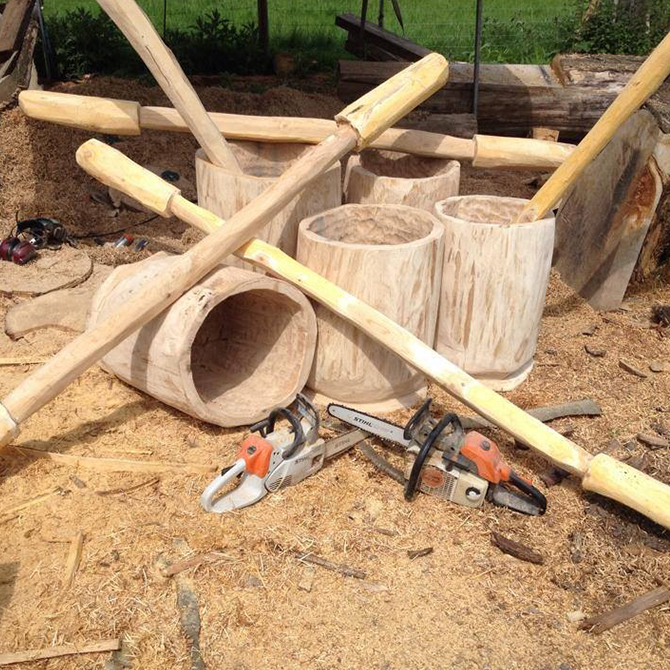 I used some of the tree after i milled it to create the throne backrest. 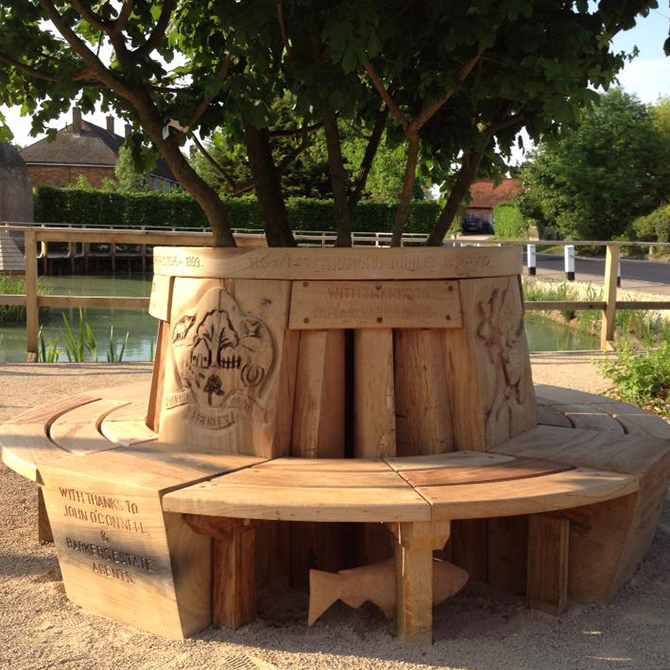 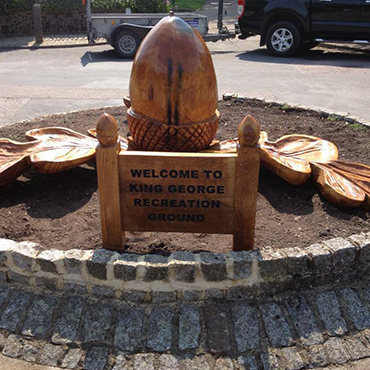 This 4ft tall acorn with 5-6ft leaves all carved from oak is a centrepiece on a roundabout in the borough. 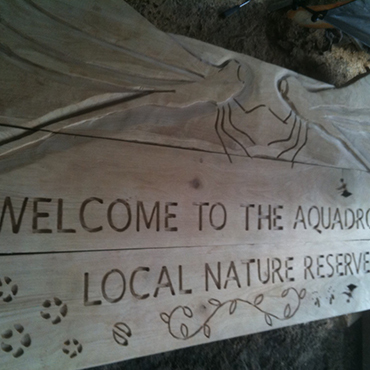 The sign also with small carved acorns was made by myself. 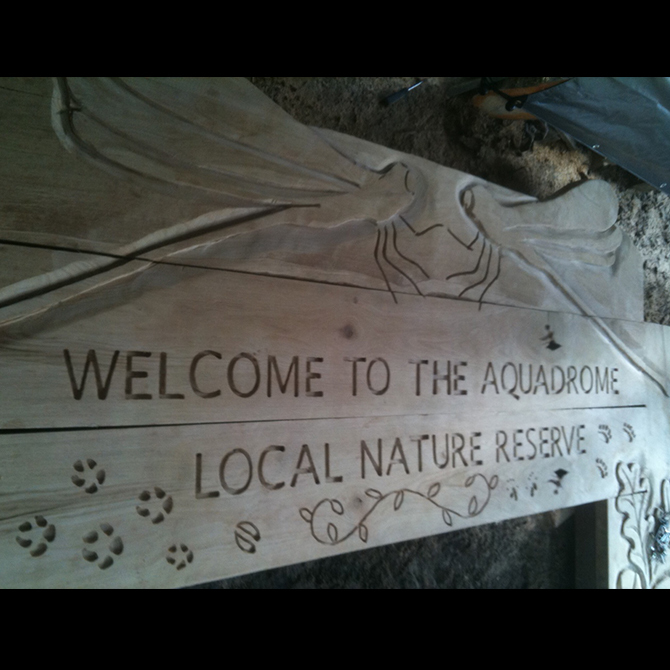 A good example of a laser cut sign. 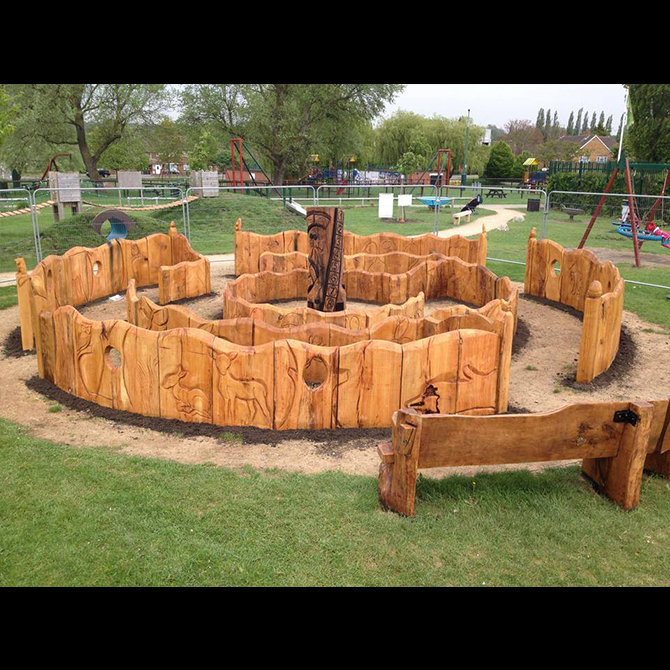 This maze was carved using 4 inch think oak boards. 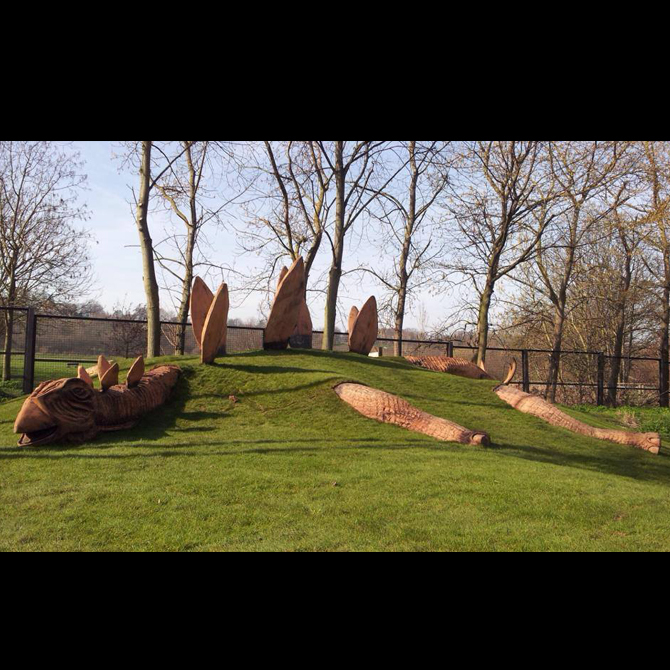 This is one of the biggest projects I've competed and took nearly 3 months. 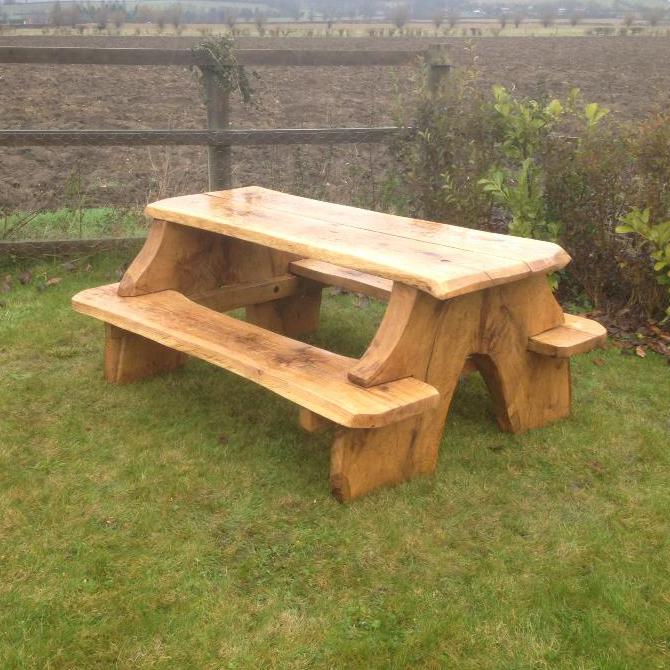 This is one of two picnic tables to seat 18 people each. 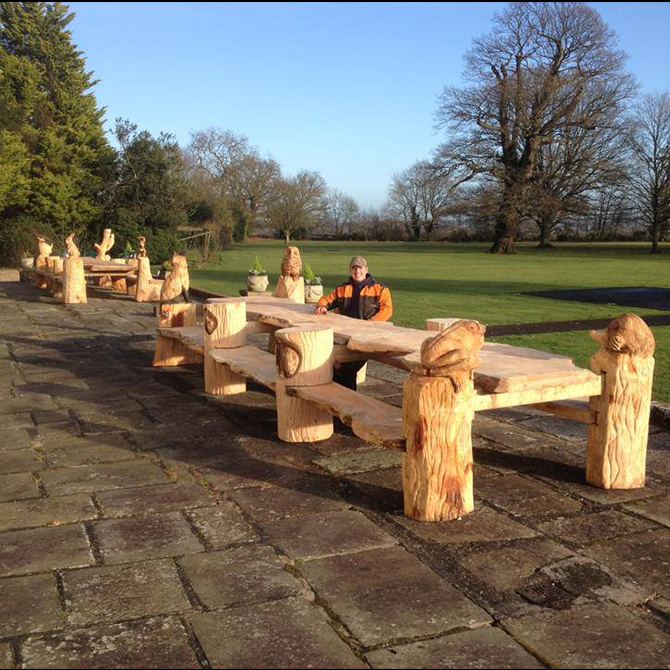 They were made from one 400 year old pine tree that fell over on the estate. 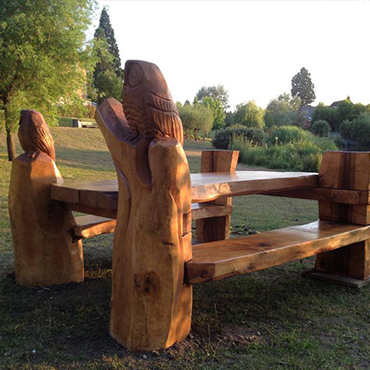 The tables are approx 24 ft long each and feature carvings on the supports. 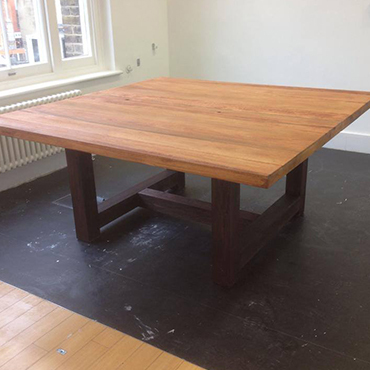 This is one of two meeting tables made from Tulipwood. 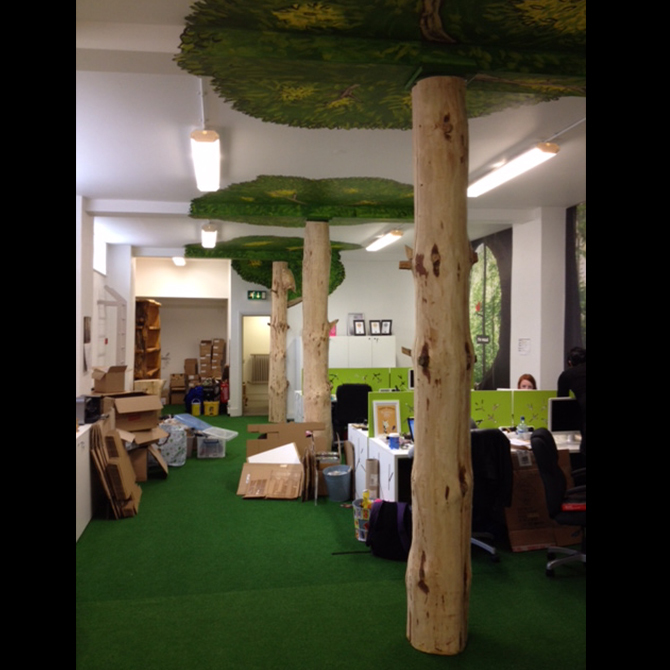 They are in the head office in Central London. 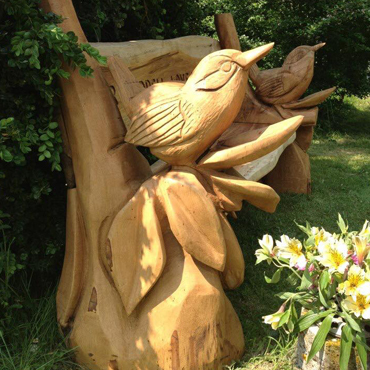 This was one of many carvings that were carved at chorleywood house around the site of a old pond. 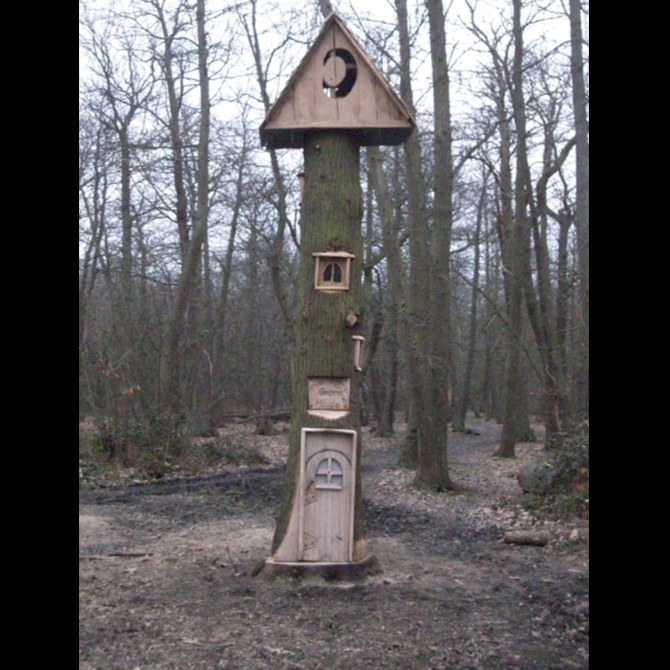 This one features a 6ft dragonfly 16ft up on the top and three owls in a hollow. 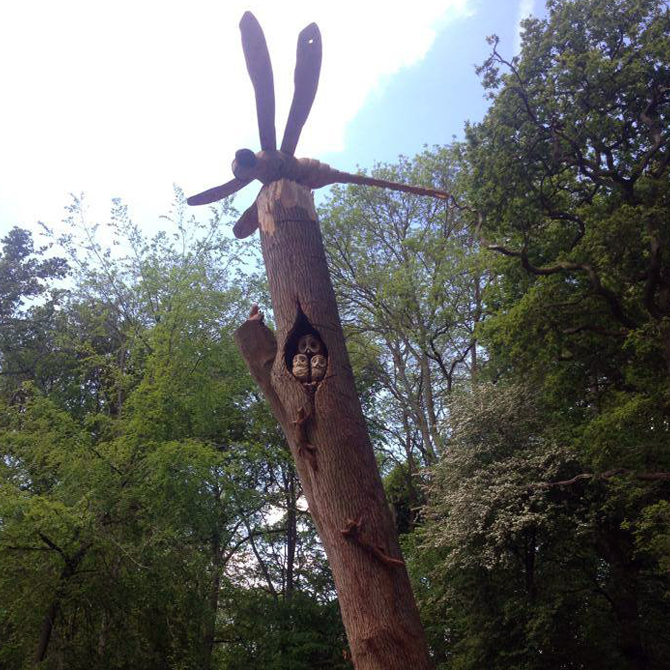 Squirrels and butterfly's are also attached to the trunk. 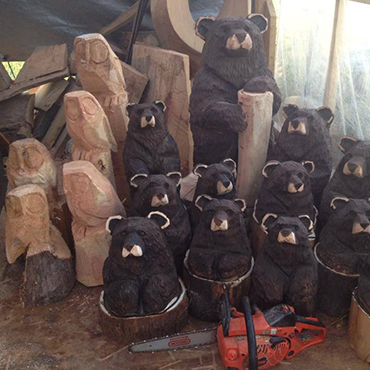 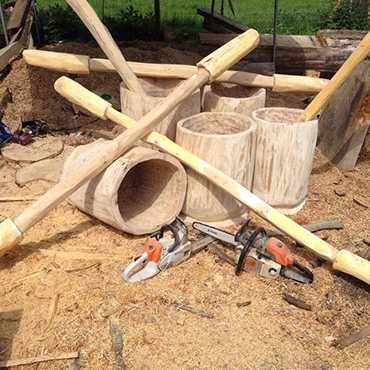 This whole job was carved with fellow carver Dave Flemons who assists me on my larger projects. 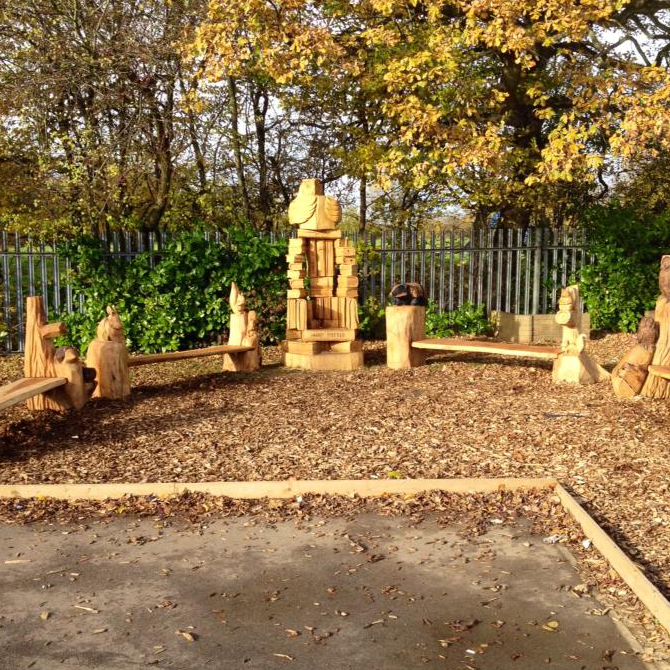 We carved about 14 carvings on that site. 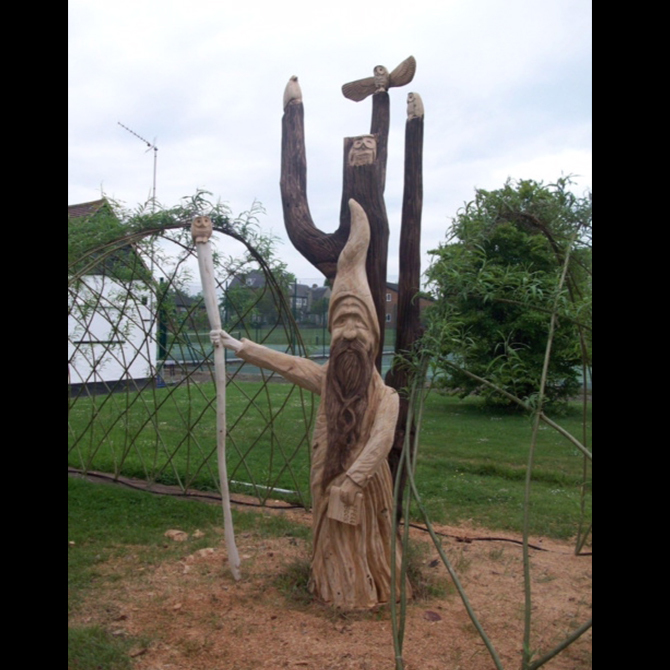 This is carved from sycamore and stands approx 6ft high. Was finally installed next to a pond with some other carved benches and picnic tables. 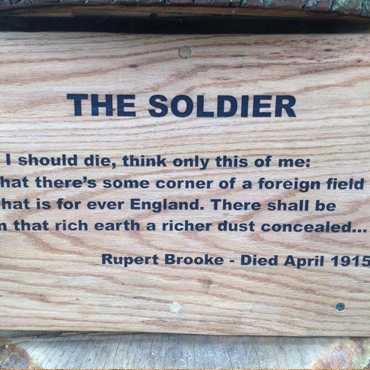 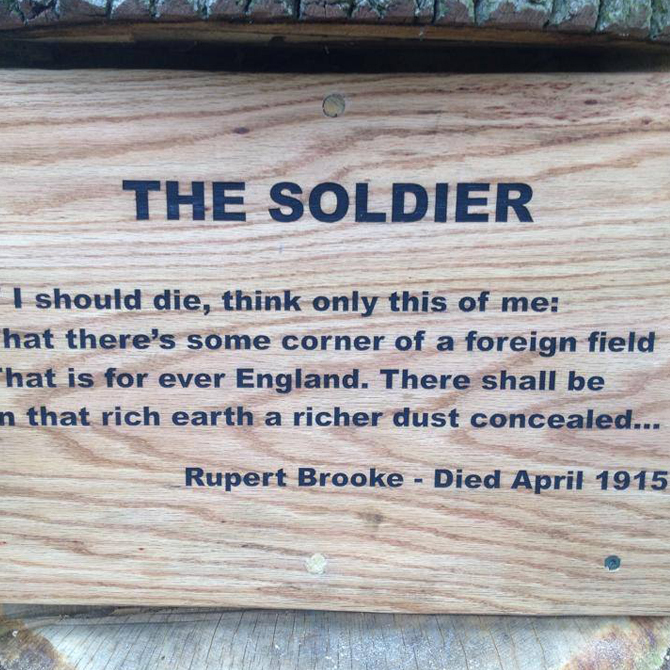 This was a memorial bench with words routed into the backrest. 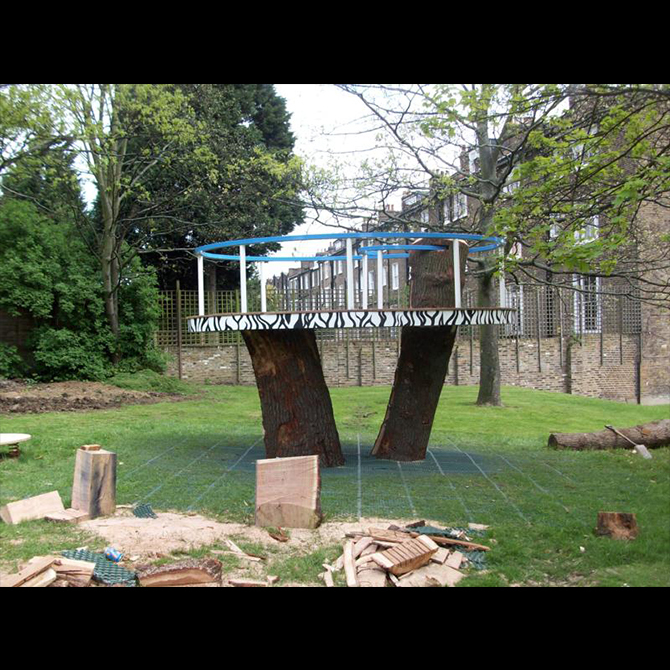 It was installed in a church yard. 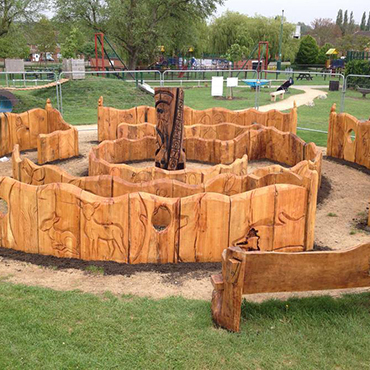 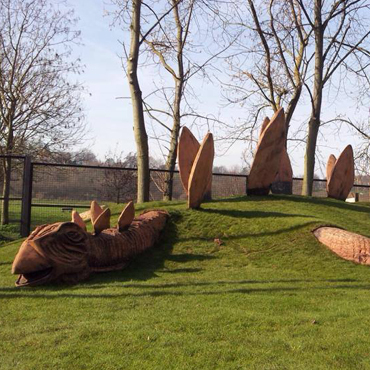 This play area of a dinosaur was carved from oak in 12 pieces then installed by a contractor into a earth mound. 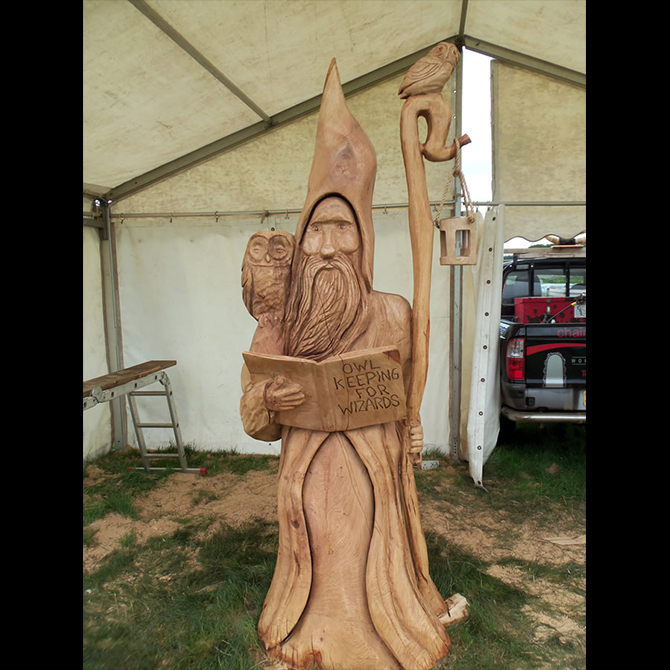 This piece was the winning carving at the competition and will defends his title he also won in 2012. 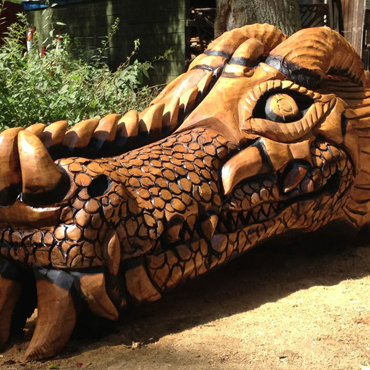 Carved from one piece of redwood. 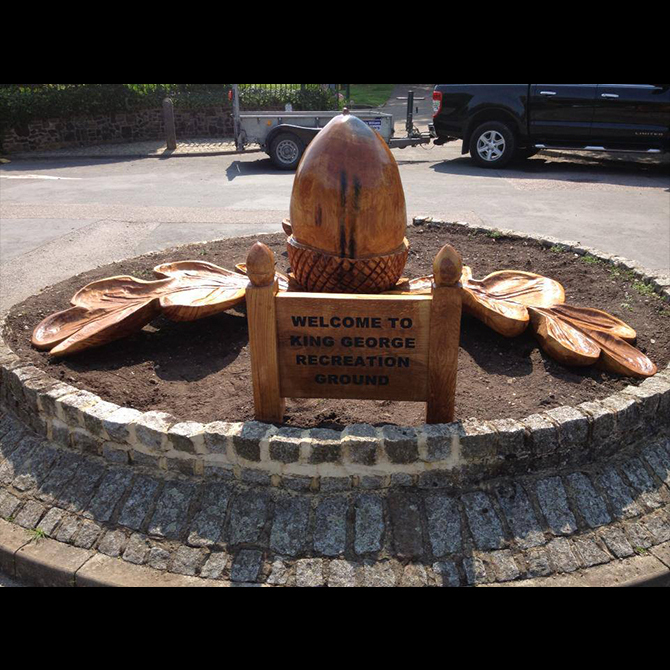 This was the plaque that has been laser cut in oak that was installed at the bottom of a phoenix rising from flames carving. 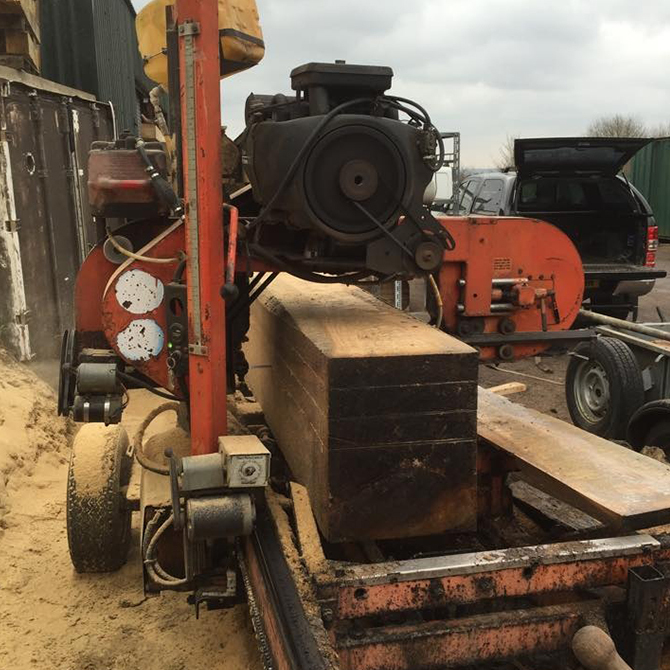 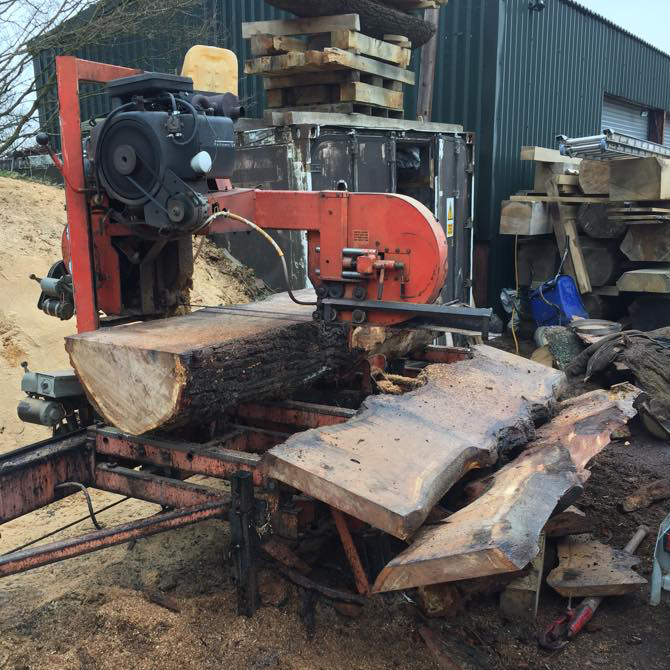 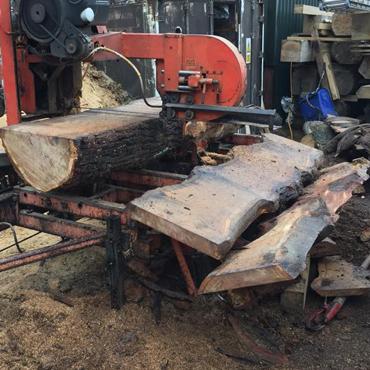 Oak being milled into slabs for a project. 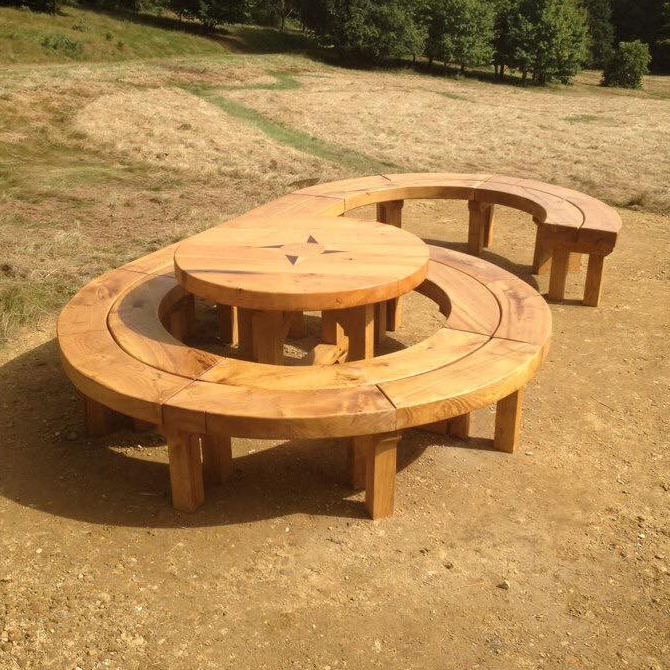 This bench was made in the shape of a 60 from oak and sweet chestnut taken from the National Trust arboretum in surrey. 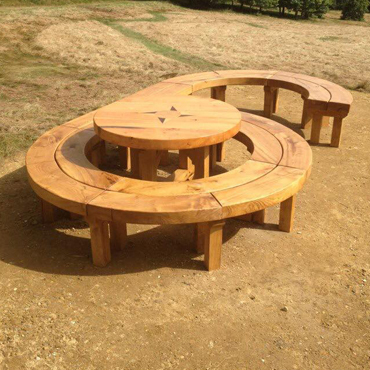 The table features a inlaid design. 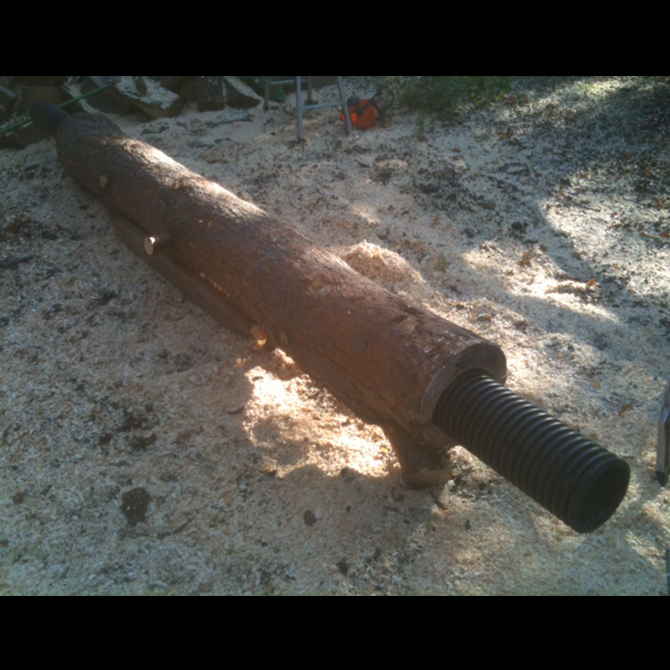 It is about 12 ft long. 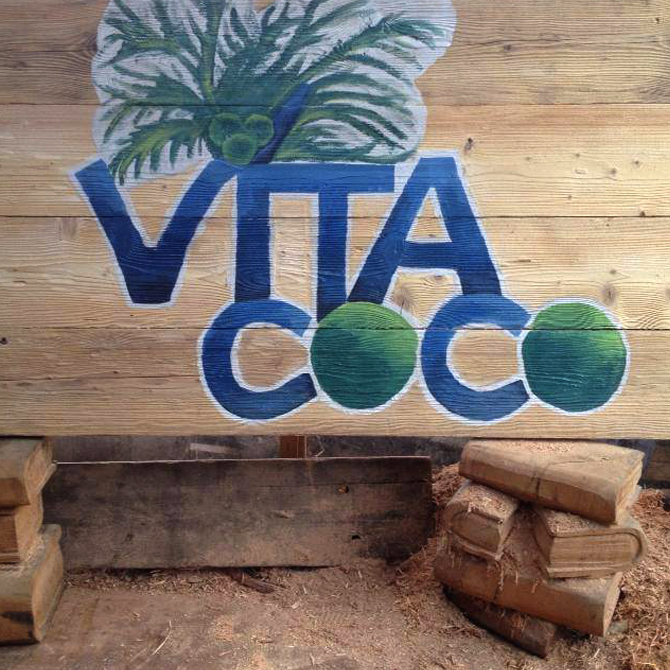 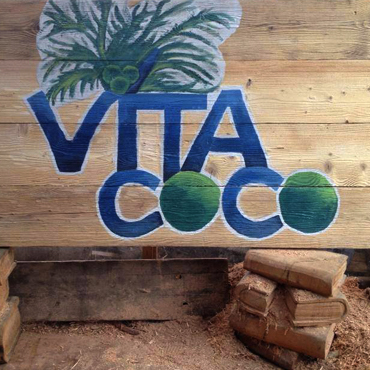 Painted sign on wooden scaffold boards that have been sandblasted to make to look like driftwood. 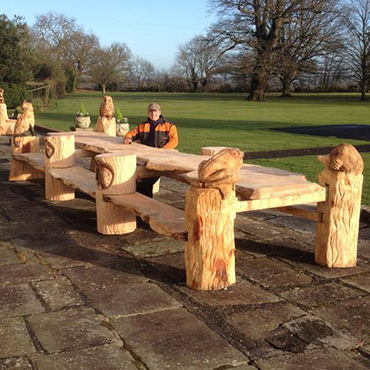 Oak table carved for private client. 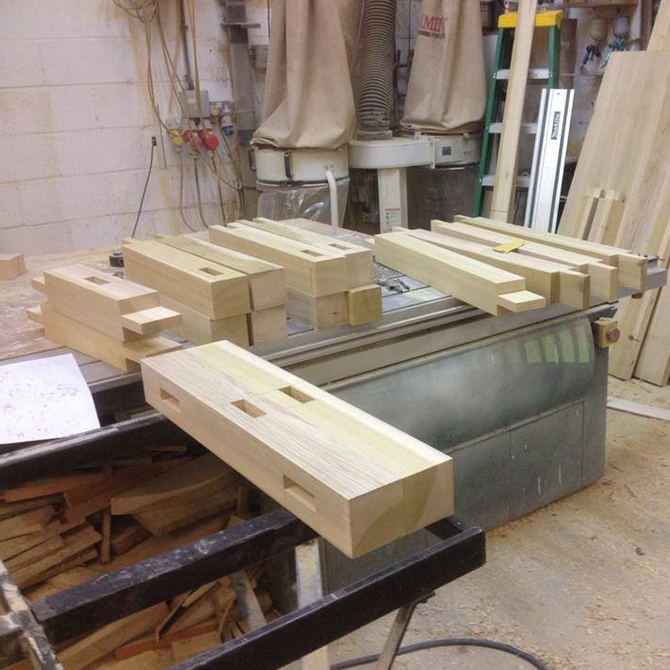 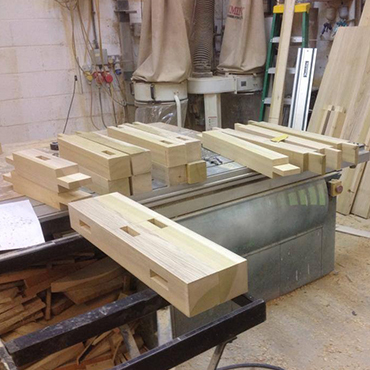 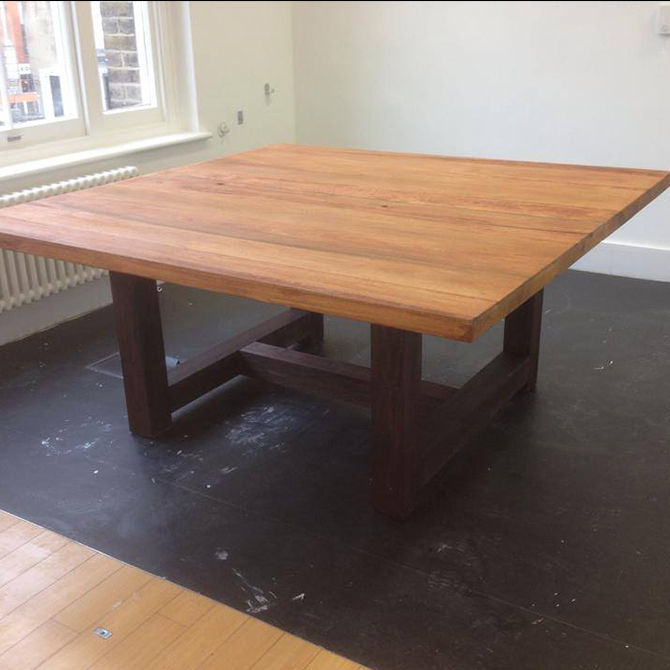 These pictures show the joinery for the meeting tables I made with master carpenter Kevin Lloyd for the head office in London. 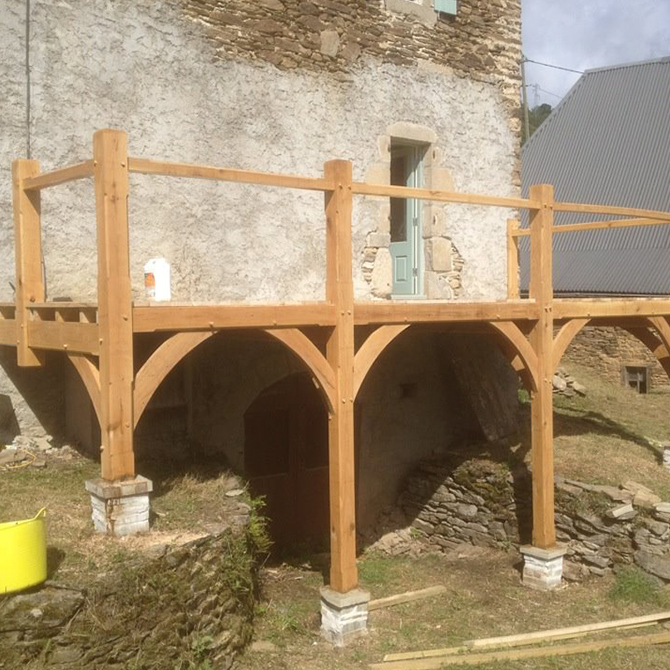 This porch/balcony was made by Kevin Lloyd, carpenter. 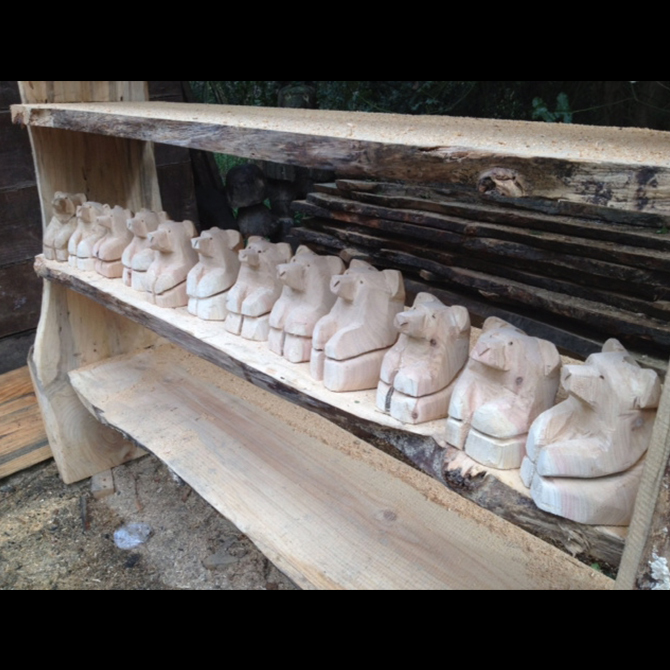 Carved for a film being made Summer 2015. 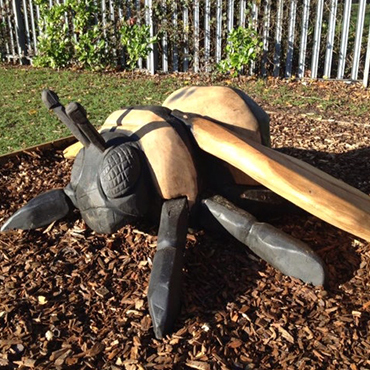 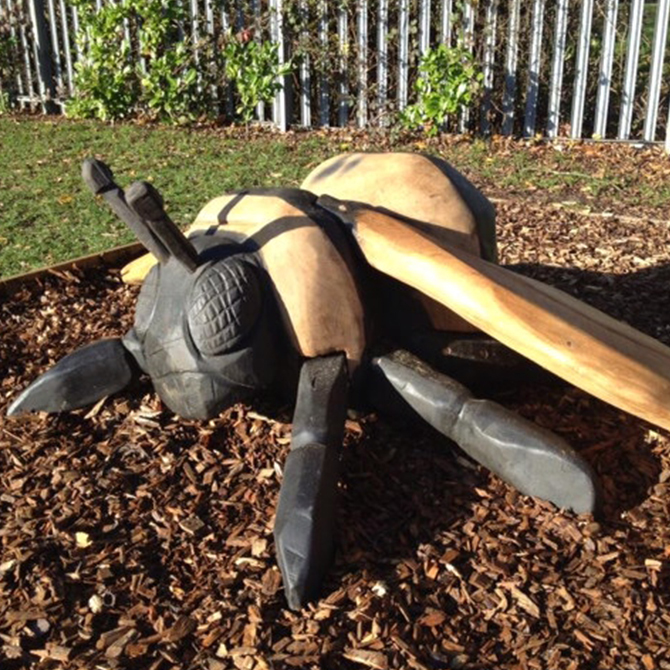 This oak bumblebee was carved as part of some outdoor play for the children to climb and sit on. 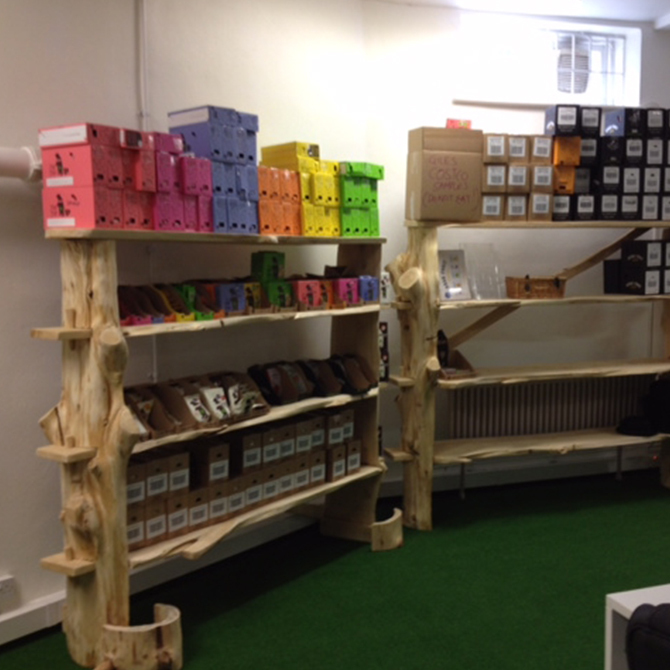 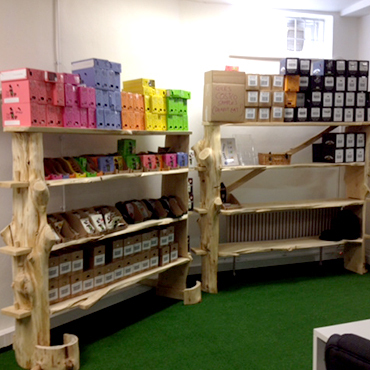 These leylandii shelving units were made for the head office in Central London for bear. 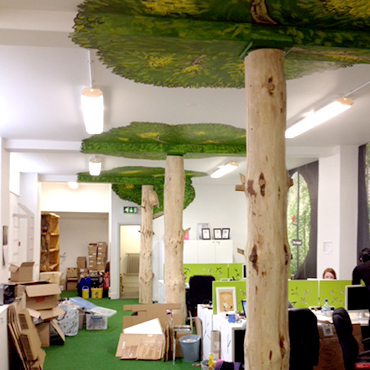 These hollow trunks hide steel support columns and make the office more like a woodland. 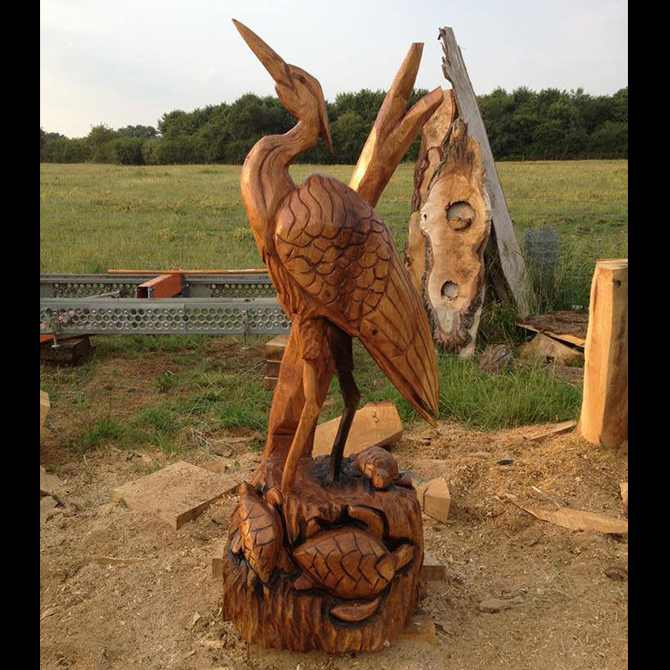 This 6ft heron with turtles was carved from oak and then transported on a raft to the centre of a lake and installed. 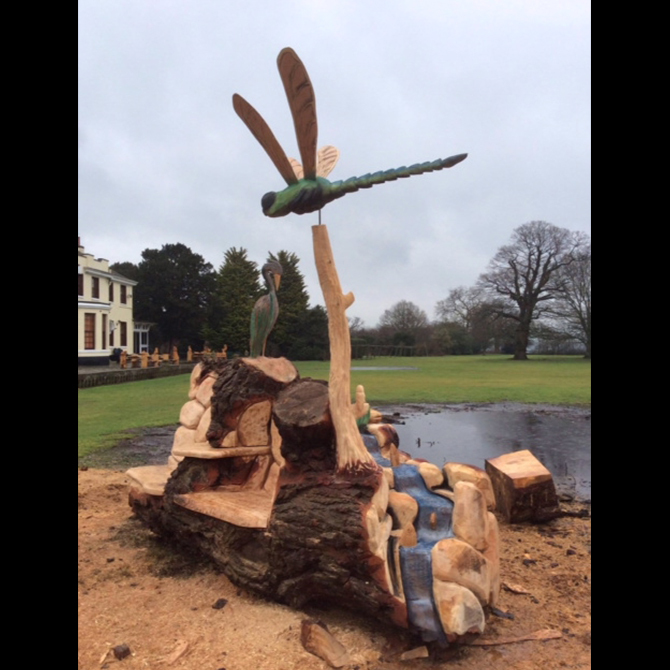 This 400 year old pine tree was 8ft in diameter before carving started and was carved into a water themed seating area with three seats, a dragonfly, heron, beaver, fish in a stream and some ducks. 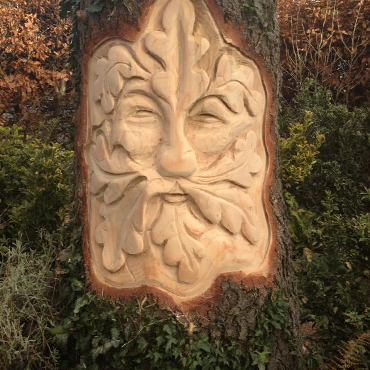 This was carved at the Forest discovery day at Wendover woods. 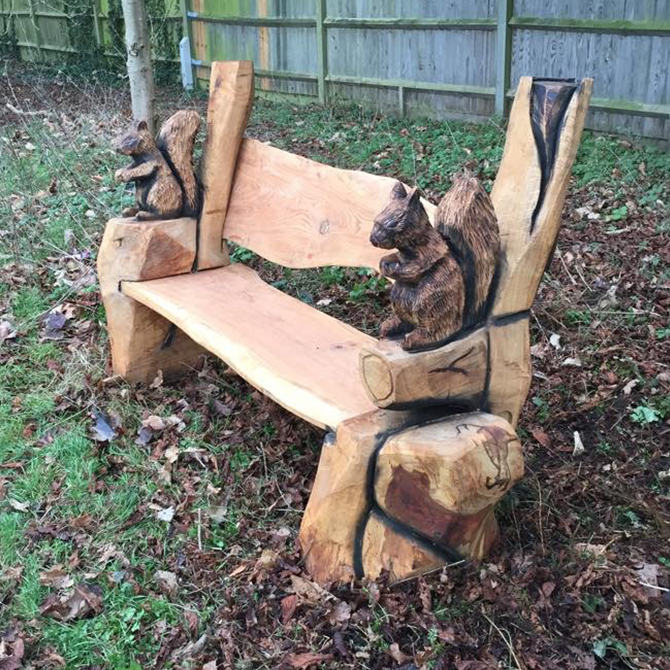 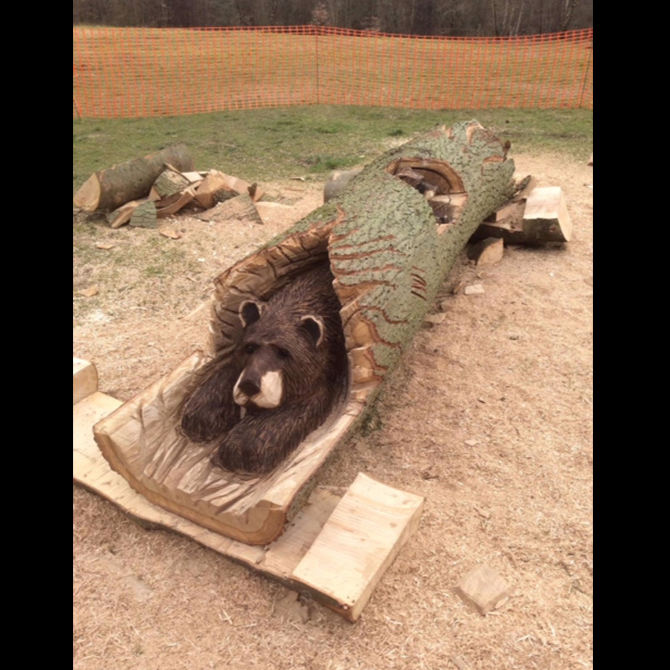 Oak bench carved with two squirrels for Leavesden country park. 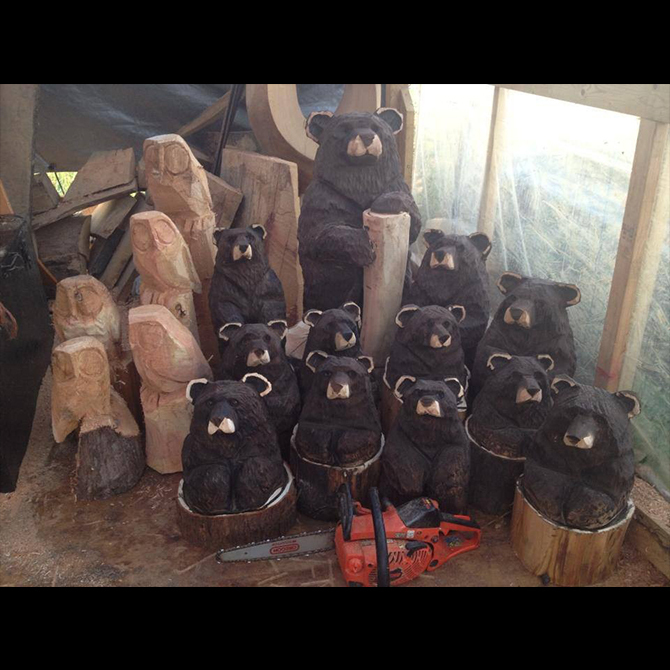 These 8-10inch bears have hollow backs to store pens etc on desks. 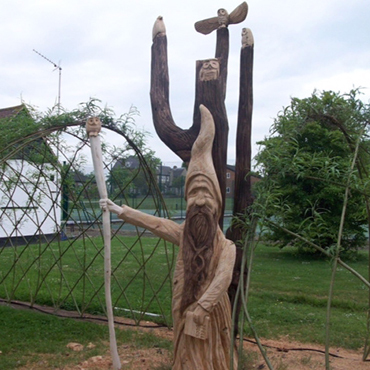 This multistemed tree was carved into a wizard with birds. 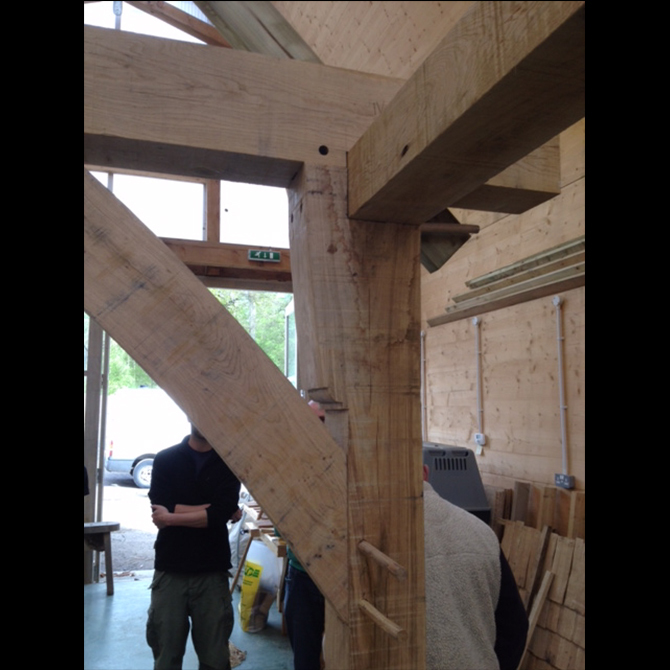 The arms were joined on as the tree was not wide enough. 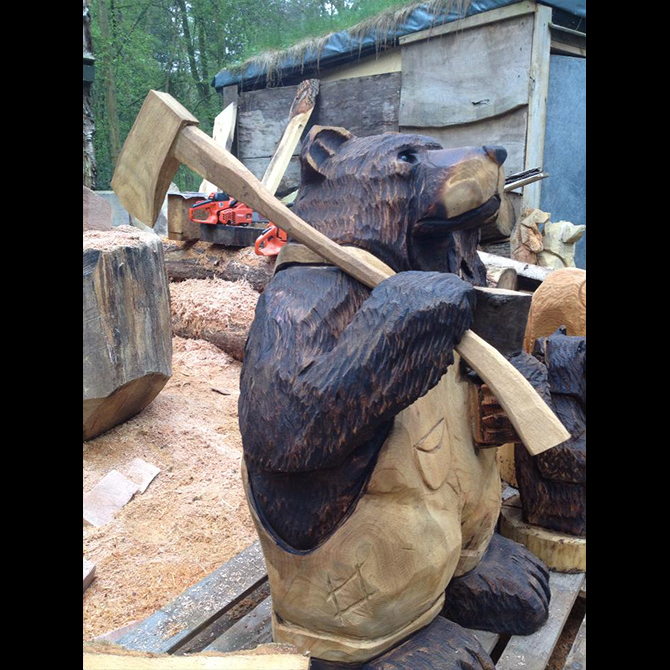 These were made for show stock and for garden centre supply. 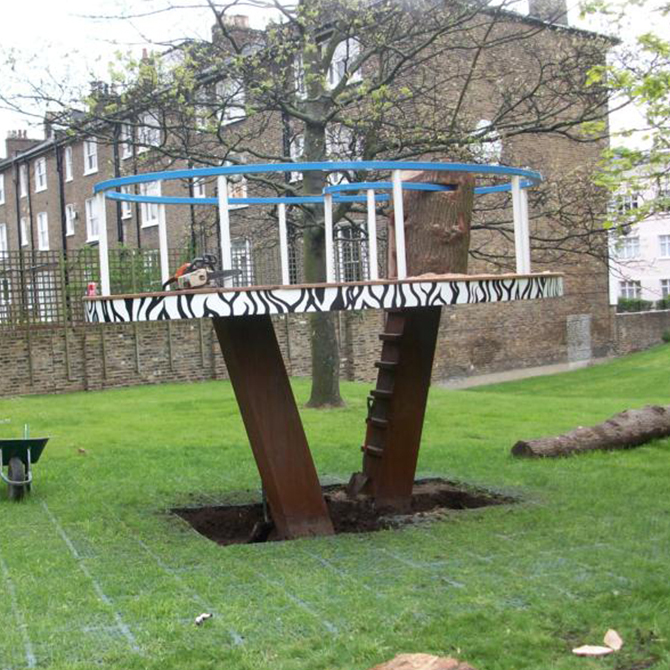 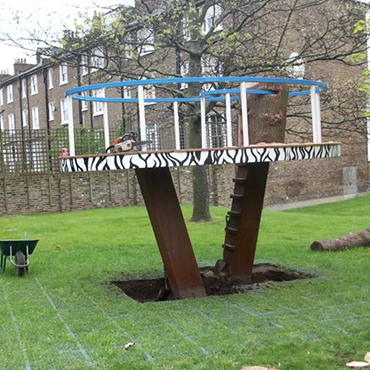 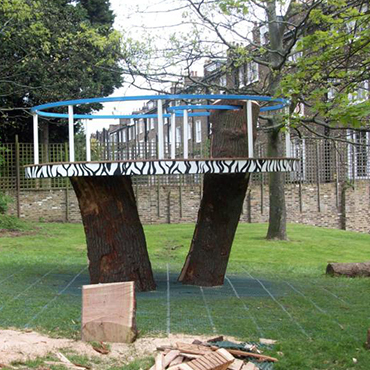 This climbing frame in a London playground needed the steel stairs and support beams classed with whole oak trees. 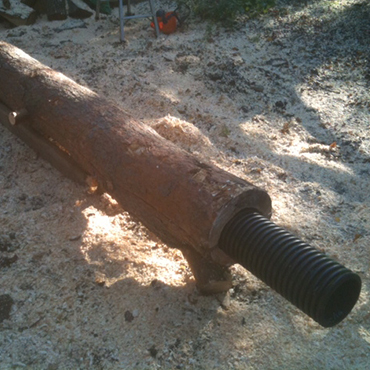 A central core was taken out and fixed to the steel. 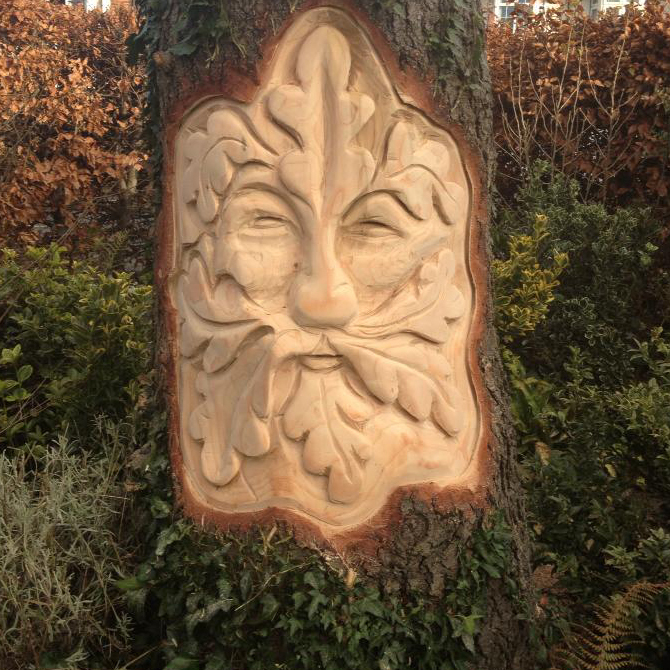 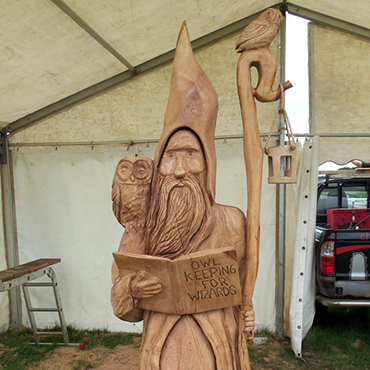 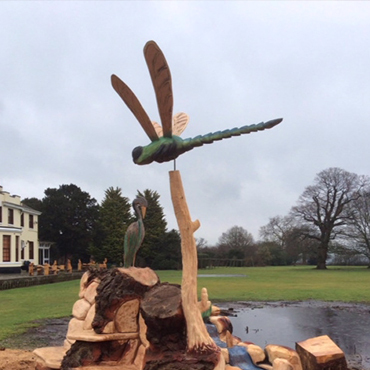 Carved from oak at the English open chainsaw carving competition. 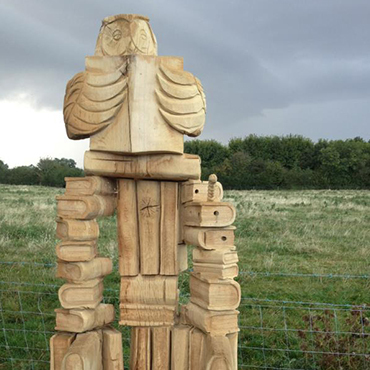 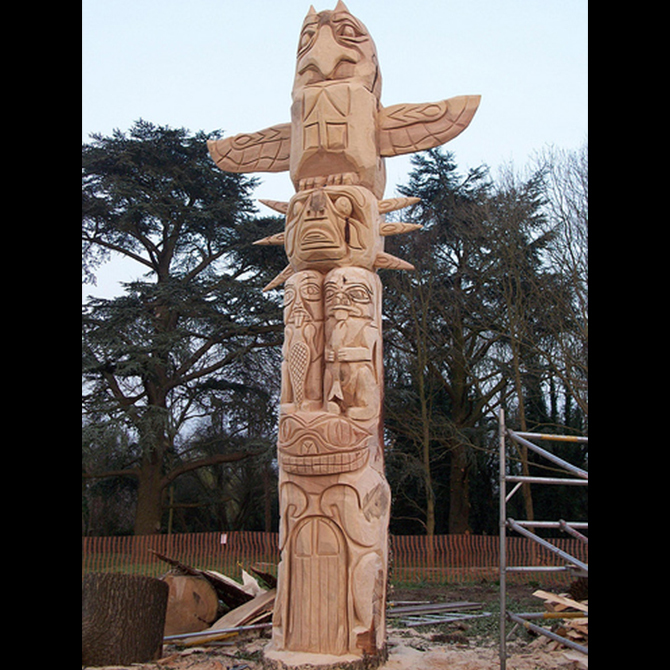 This traditional totem was carved from a existing cedar tree in the school grounds. 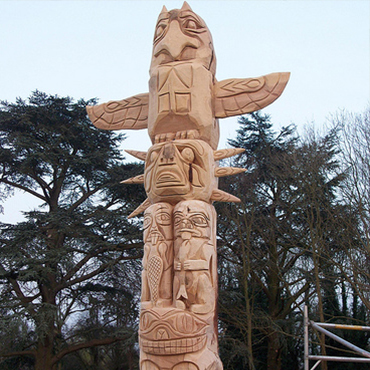 It stands about 30ft tall and 4-5ft in diameter at the base. 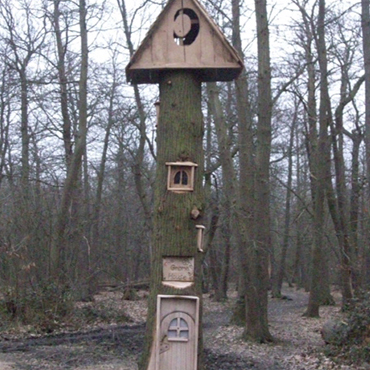 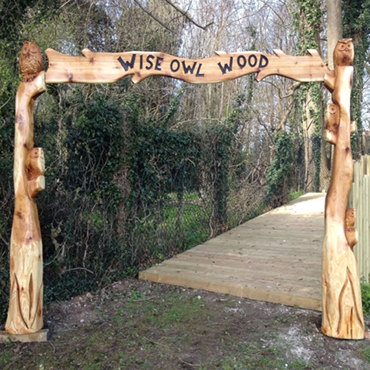 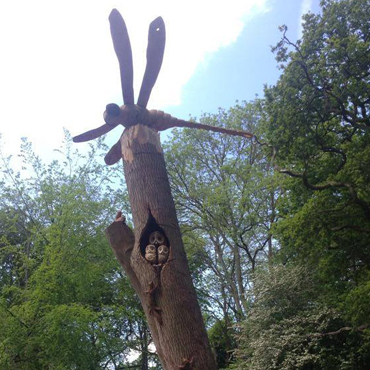 An existing oak tree was transformed into a gnome house in a Bromley woodland. 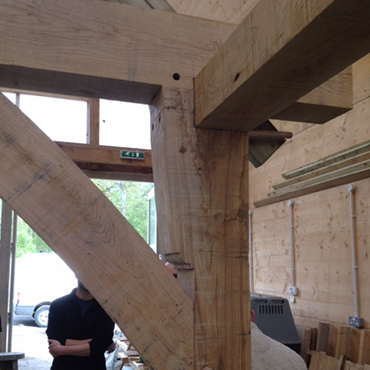 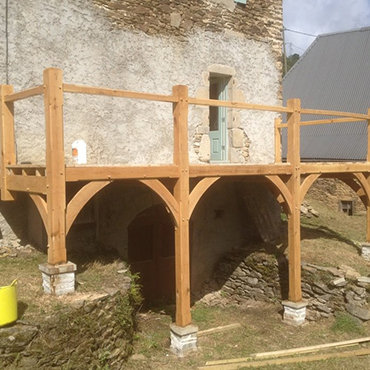 The door and windows were made from the top of the tree after being milled on site.